Implementing a big ERP project is a major undertaking requiring a large budget, time and resources. Companies that also integrate a B2B trading network usually hire multiple vendors. How much time and money could you save if one vendor managed both projects? Our clients report 65% lower implementation costs and 100% ROI in 18 months or less. In a successful trading network, quality partner data and business logic drive your B2B engine and ERP processes. The ideal scenario is having a single vendor implement both sides, so your EDI mappings and logic are acting in concert with your ERP solution. Our project teams include a dedicated project manager, EDI mapping specialist, ERP integrator specialist, technology expert, and support technician. We understand the importance of EDI mapping and can help each of our customers and suppliers properly integrate, regardless of their system and technology level. 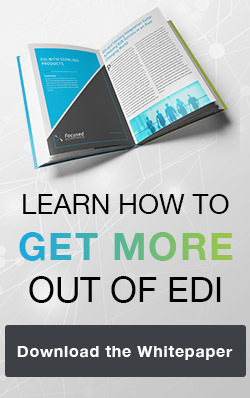 GET THE ALL-IN-ONE EDI FOR ERP INTEGRATION YOUR BUSINESS NEEDS!